The guide to detailed profiles of all the best Petit Chateau, vineyards and wines of Bordeaux, with wine tasting notes, wine with food pairing tips, histories and wine buying guides for all the important regions that produce some the best Bordeaux value wines today. Many of these appellations offer great values. But with thousands of great and affordable, Bordeaux value wines to choose from, it’s often difficult to know which producers deserve your attention. This page will help you find all the best buys in Bordeaux value wine today. For an insiders look at the main appellations producing the best Bordeaux value wines today, please see any of the links listed below or to the left of the page which lead to the top Bordeaux value wines being made today from a myriad of appellations that range from the Bordeaux Satellite regions along with Cotes de Castillon, Lalande de Pomerol, Fronsac, Bordeaux Superieur, Canon Fronsac, Entre Deux Mers, St. Emilion Satellites and Cotes de Bordeaux. What separates these wines from other value Bordeaux wines is they offer great style, character, the ability to age and are often a pleasure to enjoy in their, fruit forward, luscious youth! And they are available for fair prices! That is a difficult combination to find these days. Plus, because many of the top Bordeaux value wines come from large estates, they produce thousands of cases per year, making them easy to locate and purchase. They are truly, affordable Bordeaux wines. Most of the better wines in this category are priced between $15 and $40. The best vintages for the Right Bank Satellite appellations and Petit Chateaux are: 2015, 2010, 2009, 2005, 2001, 2000 and 1998. Older vintages from these regions should have have been consumed. It’s easy to spend a lot of money and buy great wine. Anyone can do that. The trick is being able to purchase the gems of Bordeaux and not go broke doing it. While the famous First Growth wines garner the most attention, especially in the press, with their incredible high prices, along with some of the legendary wines of the Right Bank, an ocean of well-priced Bordeaux value wine is produced in most vintages that deserve your attention. The top Bordeaux value wines are produced in the Left Bank appellation of the Haut-Medoc and in the various appellations surrounding St. Emilion and Pomerol, often called the satellite appellations. The satellite appellations of Bordeaux consist of a myriad of different communes, soils and terroir. The most important appellations are: Cotes de Castillon, Lalande de Pomerol, Fronsac, Canon Fronsac, Bordeaux Superieur, Entre Deux Mers and Cotes de Bordeaux. 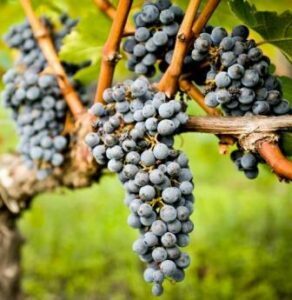 Merlot is the dominant grape used in most red, Bordeaux value wines. This is followed by Cabernet Sauvignon, Cabernet Franc, Malbec, Petit Verdot and Carmenere, which also play an important part in the blend. There are also a wide variety of refreshing, inexpensive, white, Bordeaux value wines produced from a combination of Sauvignon Blanc, Semillon, Muscadelle, Pinot Gris, Ugni Blanc and Colombard. Many of these wines are produced in little known appellations that if you’re careful, can provide some nice values.